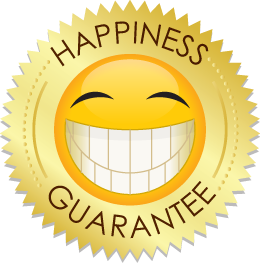 Our Happiness Guarantee provides you the ability to terminate a longer term Motion NBN plan without penalty after the first three months of service if you no longer wish to continue. Motion NBN provides this Happiness Guarantee because we understand that most people do not have an issue with a monthly payment, especially when they are getting the best deal. You will probably need the internet forever, so the bigger the monthly savings the better. What happens if you are locked into a plan where the NBN speed and customer service is bad, then how do you get out of this agreement quickly and easily? To help fix this concern Motion NBN provides an easy termination option where after your first three (3) months of service you have the option to leave without penalty* before the end of your fourth month. Think of it as testing the waters, yet getting all the benefits and only continuing if you are happy. *Your option is, without penalty, to terminate your Motion NBN service agreement after three (3) full billing periods and prior to the start of the fifth (5th) billing period by simply emailing customer care and stating that you wish to terminate your arrangement. Termination will be effective within 30 days from receipt of your email. The remaining balance of any extra services, extra services equipment, or NBN service equipment being subsidised, financed or off-set against any of your monthly payments will also need to be finalised at termination, as well as the balance of any previously incurred charges or unpaid bills outstanding prior to termination being affected. More questions? Contact us or visit our FAQs page.